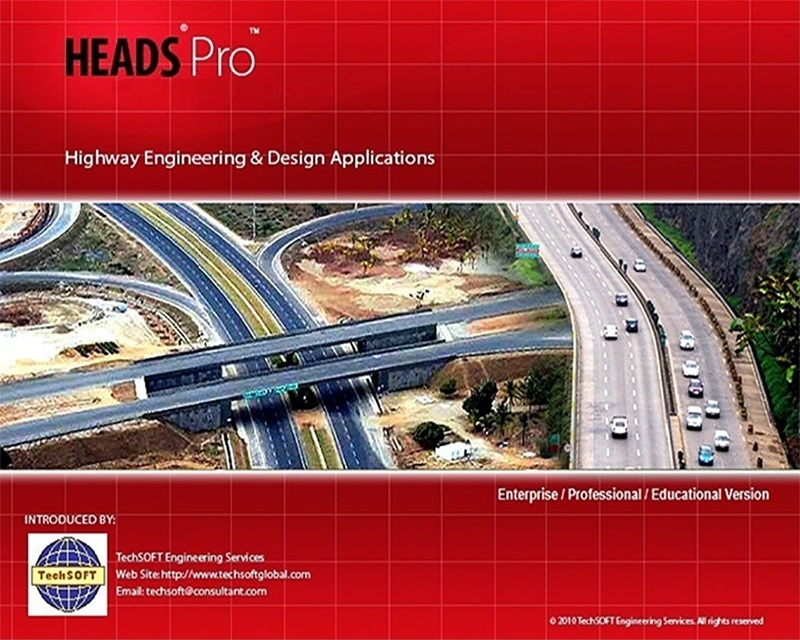 HEADS Pro is thus the best tool for the Design of Highway, Multi lane & Multiple section Expressways, Highway widening, Low Cost Rural Roads, Hill Roads, Tunnels, Pavements, Drainage, Production of Construction Drawings, Bill of Quantities. Survey data from Total Station, Auto Level, GPS, Ground Elevation data downloaded from Internet (SRTM), Satellite Imagery, Aerial Photographs etc. are best processed to create triangulation and ground contours. The users get full satisfaction by getting a technical environment which is complete with the latest advanced technology. HEADS Pro has modules for the design of At Grade Traffic Intersections and Multi level Grade Separated Interchanges with CAD based Intersection Type selection and insertion in the Highway Design with Swept Path Analysis for observing speed limits in Ramps, Loops and Slip Roads. HEADS Pro has special module for Car Racing Track Design with Closed Traverse and Concave Parabolic Carriageway Cross Section. HEADS Pro has special techniques for the design of Hill Roads requiring extra widening at curves and by using Bearing Line data, Slopes varying with depth of cut, Providing Gabion walls on cut side and Retaining walls on fill side by interface analysis. HEADS Pro has the powerful Tunnel module for the design of Vehicular Tunnels by using Trimble ‘S’ Series Robotic Total Station scan survey data for Bored Tunnels. The occurrences of Tunnels along the route of the highways are very common in most of the National/Federal Highway projects and the engineers must be provided with the best and simple design procedure in 3 Dimensional in-built CAD system. HEADS Pro has facilities for automatic alignment and profile design with profile optimization based on requirements of Pavement structure, Profile Correction and design overlay thickness. HEADS Pro has full range of Flexible & Rigid pavement design facilities in AASHTO & IRC Standard also for low cost rural roads. It also features for Asphalt/Bituminous Mix Design for AC/BC, SDBC, DBM, BM for Quality Control at Construction Site. HEADS Pro supports road pavement rehabilitation by using various Fiber glass geogrids and by obtaining the result on strength improvement given by detail step wise report. Strengthening of wearing course of Bituminous Pavement by using Geo Synthetics may be done by determining strength of various products for applied traffic load by using Layered System Analysis, The design of pavement overlay may be done with statistical analysis of Benkelman Beam Deflection test data with temperature and seasonal corrections. HEADS Pro has provisions for maintenance of Land Acquisition records by inter-connecting Land maps as CAD drawings and Land records in Microsoft ACCESS Database Management System. The process is very simple and useful in various highway development projects. Users Manual, Examples Manual, Quick Reference Guide, Users Installation Guide, Tutorial Videos and various Tutorials on real project data in separate DVD. © TechSOFT Engineering Services. All Rights Reserved.